Call Dr. Pescatore at (925) 362-9330 to have healthy gums for a lifetime! 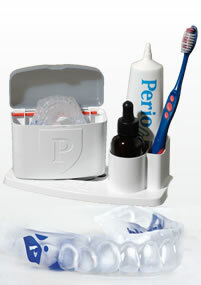 The Perio Protect Method® is an effective, sensible approach to treat bacteria that cause gum disease. If you have ever had painful gums, bleeding gums, or both, than this is an efficient alternative gum treatment for you. In many cases, this natural periodontal treatment can also be an alternative to gum surgery. At the heart of the Method is the adjunctive Perio Tray® delivery of medication. The basic idea is to get medication under the gums and into the pockets where bacteria grow and keep it there long enough for the medication to work, all in a comfortable, non-invasive way. Not a simple task. That’s why the Perio Tray is such an important advancement.